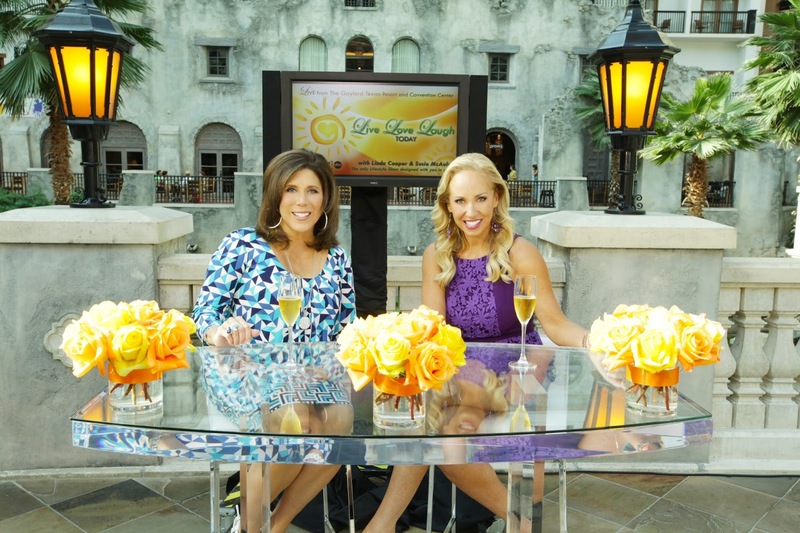 Live Love Laugh Today is a new lifestyle show debuting Sunday, September 15 at 11:00 am on WFAA/Channel 8. According to the press release, co-hosts Linda Cooper & Susie McAuley will seek to bring us quality programming that informs and entertains in a fun, 'between us girlfriends' delivery. Segment topics will include "Modern Living by Cantoni", "Ticket to Hollywood with Movie Tavern", "The Grilling Guys", "Build it with Bruce", "NuSkin Beauty", "The Gaylord Buzz", travel, health and cooking features as well as the Co-Host's brands "Shopping Is My Cardio" and "Susie Homemaker". I stopped by the launch party for the show last night and got to visit with Cooper and McAuley. The two compare themselves to Lucy and Ethel and seem to have a great chemistry. I look forward to seeing what they have to share. Special thanks to for styling me for this event. Check out their amazing fall collection at NorthPark Center or the Galleria.